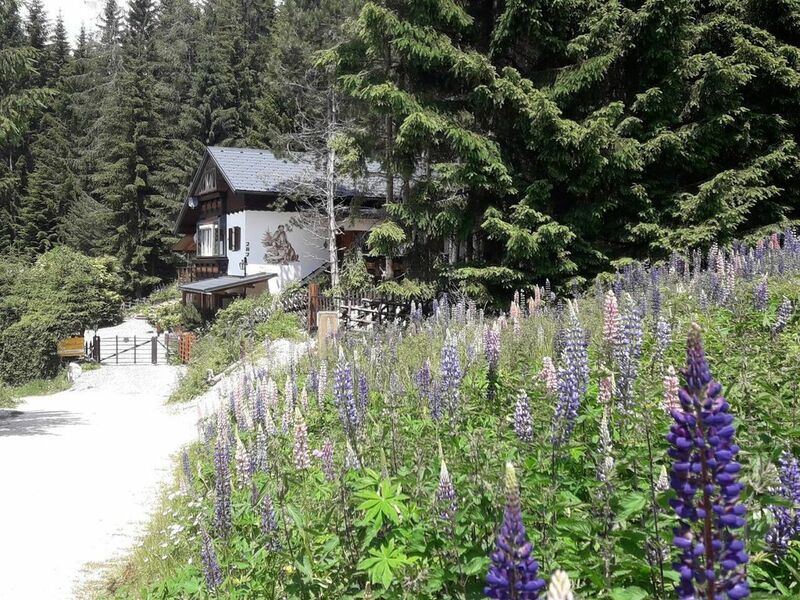 19 persons Holiday home with 2 apartments: Jagdstub'n for 8 people and Zirbenstüberl for 11 people - for families who want to spend a holiday with friends - holiday and party together - the comfort of living separately. ...* Z irbenst ü berl 95m² * for up to 11 people on the first floor which is accessible at ground level also - winter garden with sun terrace and sauna house exterior - all rooms are also walkable directly from the outside terraces - if looking directly into the woods for mushrooms or a snowball Fight! * YOU CAN ALSO RENT EACH APARTMENT * - even if you are looking for a weekend getaway in nature! The house is located in the heart of a remarkable landscape at an altitude of 1310 m in a small holiday village 3km to ski Klippitz. Guests can relax in the nearby forest where waiting for you numerous barbecue, camping site with teepee, pond, dog park, playground, places for relaxation ... the sunny edge of the forest know our visitors appreciate. Depending on your preference, you can find tranquility and seclusion here, as well as turbulent entertainment with attractions nearby. In 3 kilometers from the ski Klippitz with summer toboggan run. 10 km from the center of Bad St. Leonhard, in a quiet, sunny position. Grocers 9 km, restaurant 400 m, indoor swimming pool 9 km away. Ski lift 2 km, chair lift 2 km, ski school 3 km, cross-country skiing trail 2 km. Several inns in the vicinity as well as a climbing garden, quad track, riding stable and numerous bike trails. Internet: once per object costs in the amount of 20 EUR (obligatory). Final cleaning: once per object costs in the amount of 140 EUR (obligatory). Bed linen: to be rented once per person for 13 EUR (obligatory).